How to add batch watermarks to video? Why we need to add batch watermark to videos? It is an important job to leave your own logo to your video. Let’s listen to what people is saying. 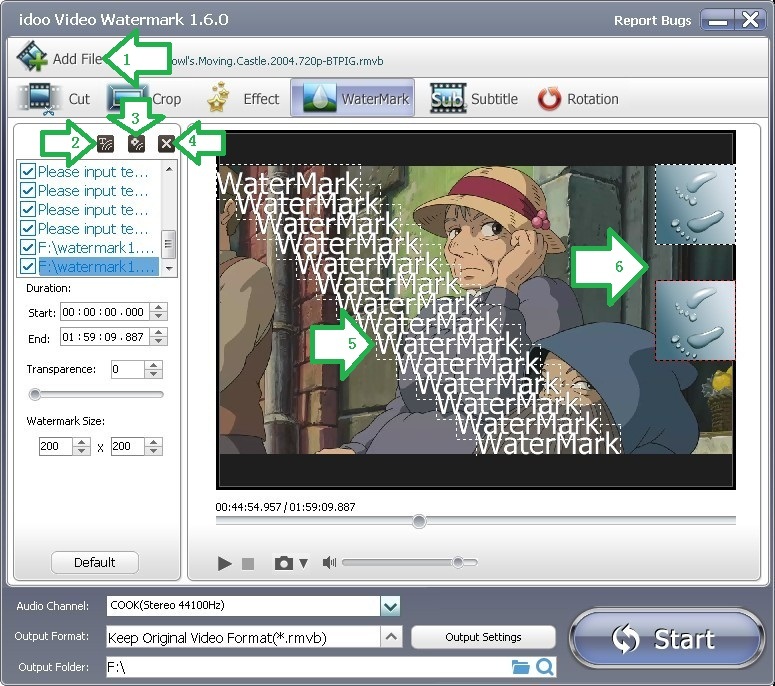 By using idoo Video Editor, this easy batch watermark tool, all problems above can be solved perfectly. This seemingly complicated job can be done just with a few simple operations. 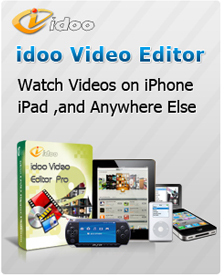 idoo Video Editor, this powerful visual editor can show you clearly each step of your operation, and you can easily adjust those effects and preview the videos. Meanwhile theoretically idoo Video Editor supports the users to add unlimited number of watermarks. The following part will show you how to add batch watermarks to your video. 2. You may add text watermark (Arrow2), add picture watermark (Arrow3) or delete selected watermark (Arrow4). 3. You may add batch watermarks to the video as it shows in the preview box (Arrow5&6). 4. Edit each watermark according to your needs and then click “Start” to begin, and multiple text or picture watermarks will be added. Then to check the output file or edit it.